Celtic Thunder is a singing group composed of five male soloists who perform both solo and ensemble numbers. Celtic Thunder debuted in August 2007 at The Helix in Dublin, Ireland. They are accompanied by the Celtic Concert Orchestra under the direction of Phil Coulter, the musical director of the group. Since the group's formation, Celtic Thunder has released six albums: Celtic Thunder, Act Two, Take Me Home, It's Entertainment, Christmas, Heritage as well as five live performances on DVD entitled Celtic Thunder: The Show, Take Me Home, It's Entertainment!, Christmas, and Heritage. 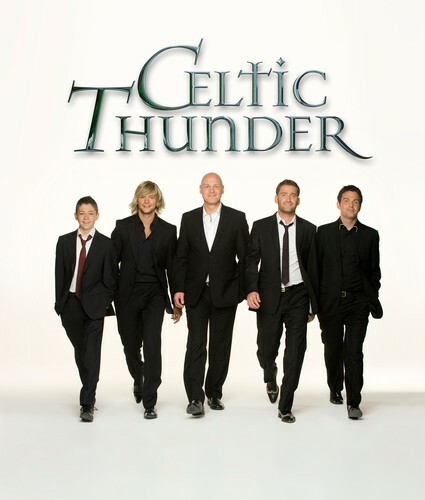 In December 2009, Billboard magazine named Celtic Thunder Top World Album Artist. Their first three albums also placed in the Top 10 for World Albums. Celtic Thunder is known for its eclectic style with songs ranging from a soloist to an ensemble focus. The group is backed by the Celtic Thunder Band on their concert tours, and their live shows are known for the use of dramatic effects via lighting and choreography as well as a stage set resembling an ancient stone pathway suggestive of those referenced in Celtic lore. In March 2009, Celtic Thunder opened the Saint Patrick's Day Parade in New York City, and later that day performed for President Obama, Mrs. Obama and then Taoiseach, Brian Cowen at the White House. 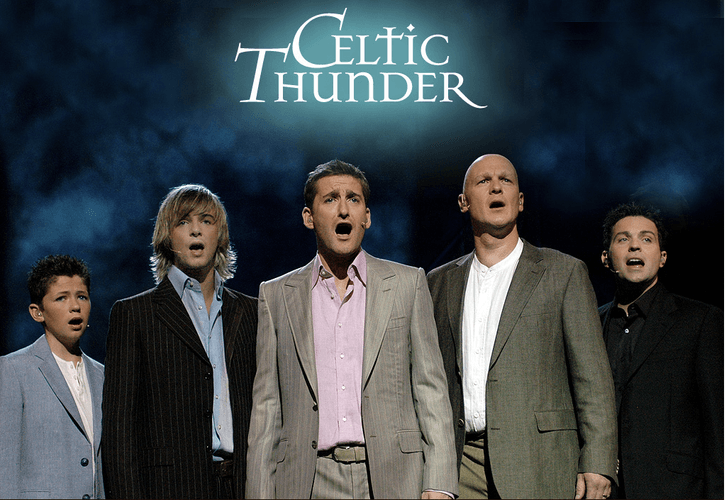 On November 28, 2010, Celtic Thunder member Paul Byrom announced his resignation from the group as to begin a solo career. He will leave the group when the 2010 concert tour is over. Byrom will begin his solo career in the United States, where he has the strongest fan base. Byrom hopes his fan base from Celtic Thunder would carry on into his solo career. On May 12, 2011, Celtic Thunder member Ryan Kelly announced that he "decided to take a step back from Celtic Thunder and the public life that goes along with being part of it." On August 22, 2011, Sharon Brown announced that Ryan Kelly will be rejoining Celtic Thunder on tour. On August 21, 2011, Damian McGinty announced on The Glee Project's Live Viewing Party, that he would be stepping down due to his new role on Glee.